Midweek means it's time to hit the kitchen and dish up something yummy! This week I'm still feeding off the big game day vibes and making a hot little handheld creation. 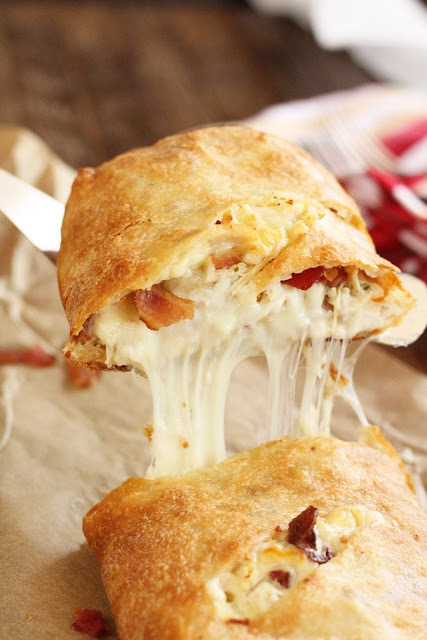 These Cheesy Ranch Chicken Calzones are big on flavor and just the right bite to warm up any winter night. 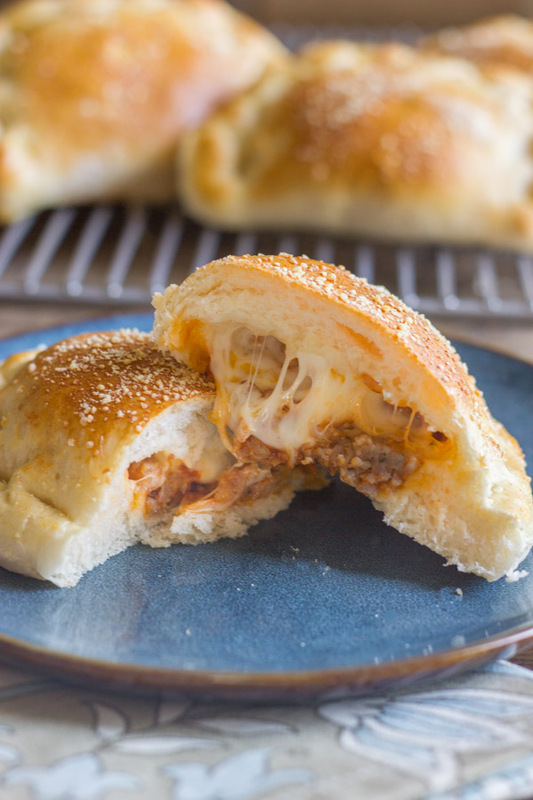 Of course, you can change them up a little and create other delicious variations (think buffalo chicken, mushroomed swiss or marinara and mozzarella to name a few) but this is my current fave. 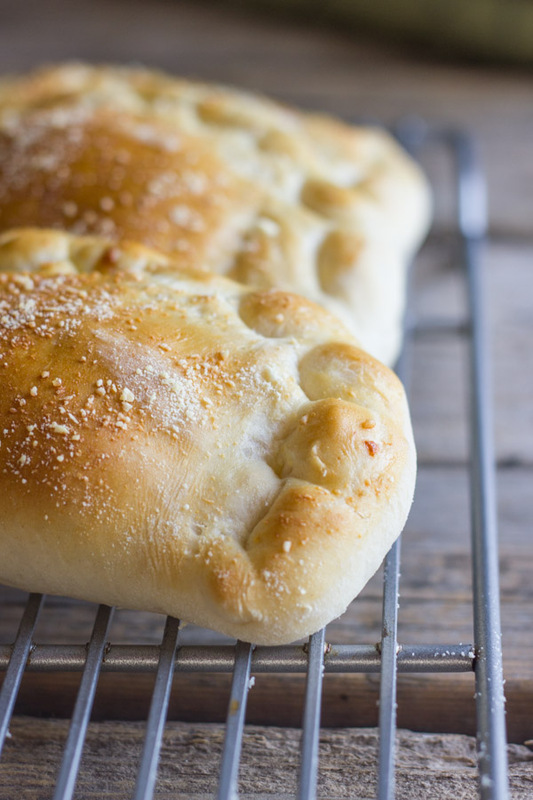 They're great for a weeknight because they're quick, simple and easy. So, before I get any hungrier, let me tell you the tips and tricks to get them done! Begin by preparing the chicken filling mixture. Remove the chicken from the bone and gently shred it. I love rotisserie chickens and think they are perfect for this as they're flavorful and juicy and so easy to work with. Mix the chicken with the sweet chili sauce and ranch dressing. If you find it's too dry feel free to add more to reach your perfect level of creaminess. Toss until well combined. Next, add in the cheeses and crispy bacon pieces mixing until combined. Unwrap each tube of dough and unroll into a large rectangle. Divide each sheet into 4 rectangles for a total of eight. Transfer the mixture to the dough pieces to create the calzones. Fill each piece with enough chicken mixture on one side to make it hearty but be sure not to overstuff any one. Fold the plain half of dough over the filled side. Place the edges together and then press firmly with a fork to seal and set. Brush or drizzle the tops with a little olive oil and sprinkle with some garlic salt. 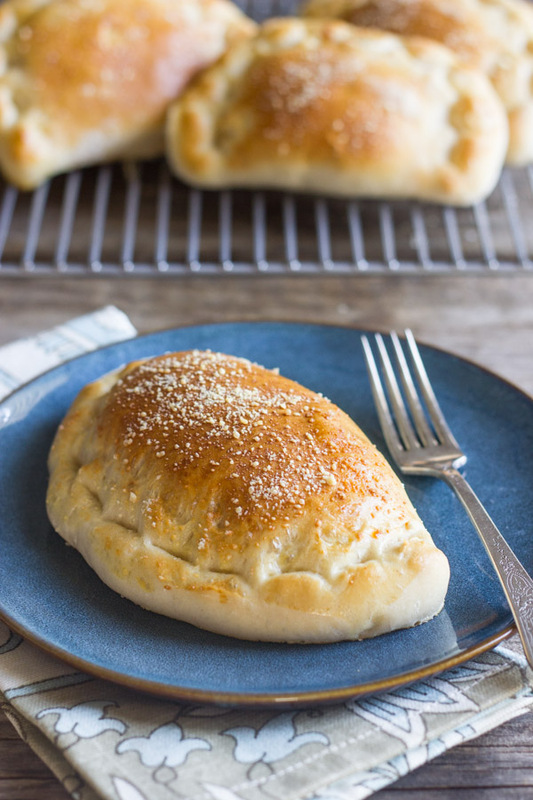 Place each calzone onto a silpat lined baking sheet. Bake for 14 to 16 minutes or until golden brown and delicious. Once done baking let each stand for about 5 minutes. Serve warm with some cool ranch dressing for yummy dipping. Enjoy! This warm little bite of heaven is one of my February favorites. It's just right with your favorite drink and best eaten fireside. I hope you all enjoy these as much as I do. Have a wonderful Wednesday friends!